The Itaca Chair by Rugiano is hand-crafted by skilled artisans using the highest quality materials. Featuring a choice of exquisite capitonnè detailing or smooth leather, Itaca is upholstered in the finest Pelle leather and Tessuto fabric. 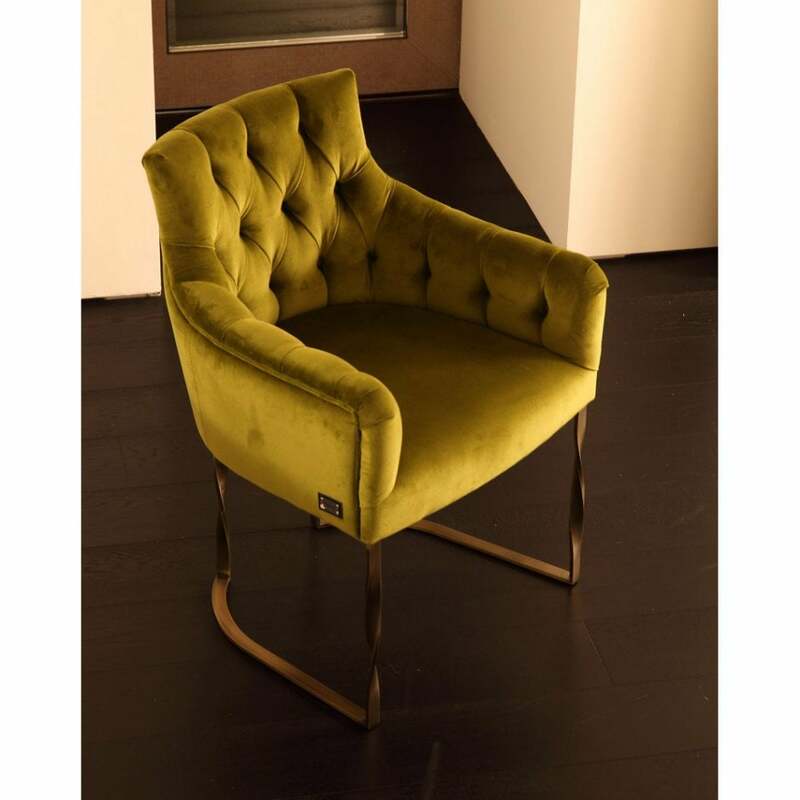 Understated and chic, the contemporary leg design gives a modern twist to this classic chair design. Choose from black chrome, steel or bronze to suit your furnishings and fittings. Crafted with a deep seat and contoured back, this sophisticated design is built with comfort in mind. Combining both form and function, Itaca exudes Italian glamour. Available in two sizes, make an enquiry for more information.